Summer season is a great time to spend a wonderful stay in Branson condos at Thousand Hills Hotel & Resort as these comfy accommodations are beautifully located in a secluded place where you can feel a relaxing atmosphere in a tranquil environment. The cozy 4-bedroom condo features top quality amenities and ample spaces that can comfortably accommodate up to 12 guests. This awesome lodging place in Branson gives you the opportunity to see picturesque view of the beautiful natural scenery around the Ozark mountains. The spacious 4 bedroom condo at Thousand Hills Hotel & Resort provides every guest convenient and comfortable stay which is perfect for big group of guests. Whether you’re traveling with family or friends, you will find out that this 4-bedroom condo unit provides every guest luxurious and comfortable accommodation in Branson. This big condo unit at Thousand Hills Hotel & Resort features four large bedrooms, a living room, full kitchen, and other top-quality amenities such as four king beds, and a sofa sleeper. Each of the bedroom of Branson condos features flat-screen TV and DVD player that allows you to watch your favorite movies that you brought along with you. This Branson condo unit also features a breakfast bar, wireless internet access, jetted tub, sunroom, and large walk-in closet. Each kitchen of the 4-bedroom condo is fully furnished with modern appliances such as refrigerator, microwave oven, dishwasher, washer/dryer, dishes, pots and pans and kitchen wares and utensils. Thousand Hills Hotel & Resort features great amenities to keep you and the rest of the group enjoy fun activities that include arcade games, swimming pools, and the most popular 18-hole golf course in Branson which is just a few steps away from your condo accommodation. Staying in this 4 bedroom condo also allows every guest an opportunity to enjoy its facilities such as fitness center, playground, tennis court, and a chance to make use of the resort’s BBQ grill. The spacious condo unit also features a breakfast bar and a full living and dining room as well as front and back porch allowing you to enjoy a relaxing atmosphere and see birds perch on trees while you sip your morning coffee. Near your accommodation, you will find it great to come along the lakeside and enjoy picturesque sceneries. If you want to enjoy a wonderful vacation in Branson that is something adventurous, take a river cruise on Landing Princess at Main Street Lake Cruises. While aboard the luxury yacht, the Landing Princess, you will enjoy live music while being served with delicious dinner. The dinner served onboard features Filet Medallions basking in a red wine sauce and served with grilled asparagus and roasted crunchy new potatoes and Chicken Limone, a seared chicken breast topped with lemon crème sauce and served over angel hair pasta and accompanied by steamed broccoli with Hollandaise sauce. 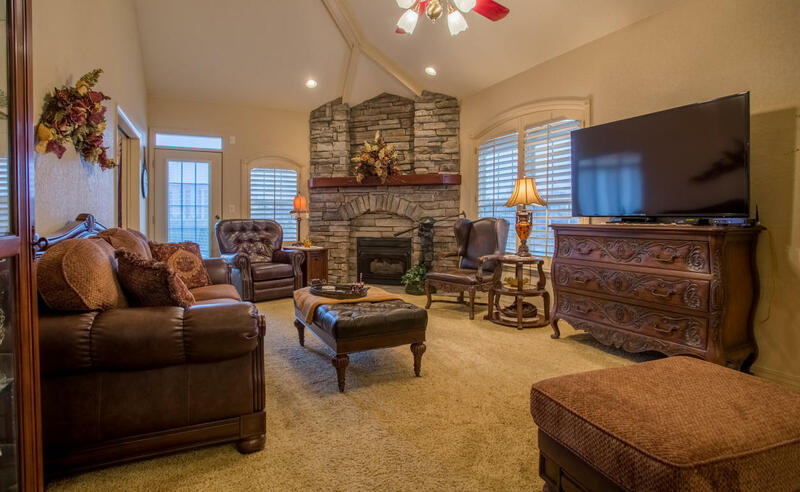 Staying in a spacious 4-bedroom condo at Thousand Hills Hotel & Resort in Branson is a great way to spend a wonderful getaway with the whole family.